Text: Norma J. Martinez / Research: Norma J. Martinez, Claus Nordahl, Louise Maria Skotte Møller, Mille Marie Schaufuss / Photo: S. Rahman/ Graphics: Peter Larsen, Politiken. Maersk pressured a German shipowner to send fourteen ships to extremely hazardous shipyards in Bangladesh and India while the company boasted of being a leader in sustainability, according to confidential documents brought to light by Danwatch. Maersk admits to Danwatch that it should not have made the deal. Behind closed doors, the world’s largest shipping company contributed to the scrapping of fourteen container ships at shipyards that do not comply with Maersk’s own standards. At a time when Maersk was building a public image of itself as a leader in responsible ship recycling, the company pressured German shipowner MPC Flottenfonds III into scrapping fourteen ships from Maersk’s fleet at dangerous and highly polluting shipbreaking yards in Bangladesh and India. Confidential contracts obtained by Danwatch between Maersk and German MPC Flottenfonds III reveal that in 2014, Maersk forced through a demand regarding the recycling of the fourteen ships that caused them to be sent to shipyards where conditions violate national laws, international conventions and human rights. Maersk now acknowledges its direct involvement to Danwatch. The Hong Kong Convention is a global agreement adopted by the United Nations’ International Maritime Organisation. Its purpose is to ensure that shipbreaking does not entail unnecessary risks to people or the environment. The Convention has not yet come into force, since this requires its ratification by at least fifteen countries. So far, only five countries (Norway, France, Belgium, Panama and Congo) have ratified the Convention. According to the Danish Minister for Environment and Food Esben Lunde Larsen, Danish ratification, which Maersk has been advocating, is in process. Recently Danwatch disclosed that Maersk’s decommissioned oil ship Producer is now being cut to pieces by men in bare feet who work twelve-hour shifts under life-threatening conditions for $6 a day. Decommissioned container ships are worth big money to shipping companies. They can be sold for scrap at shipyards that earn money by breaking them up and selling the steel, inventory and machinery they contain. In the confidential contracts obtained by Danwatch, Maersk demanded in 2014 that German shipowner MPC Flottenfonds III sell fourteen ships for scrap at a price of $447 per tonne. The price is crucial, because it says something about where and how the ships would be scrapped. At the time of the sale, a price that high could only be obtained in South Asia, according to figures from the international maritime analysis bureau Drewry. Rajesh Verma is a leading shipping analyst at the firm. At the time when the fourteen Starflotte fleet container ships were sold for scrap, the prices were highest at the hazardous shipyards in South Asia. Between November 2013 and March 2014, the prices to scrap ships in South Asia ranged from about $390-445 per tonne. In the same period, prices at shipbreaking yards with higher labour and environmental standards were on their way down in China, ranging from $300-375 per tonne. In Turkey the price were approximately $290-320 per tonne. “In that period, you could get the price of $447 per tonne only on the lowest-standard yards on the Indian subcontinent,” says Verma. According to him, the demand for steel is strong in India, Bangladesh and Pakistan, while wages are low and environmental regulation minimal. The shipyards in South Asia are therefore willing to pay higher prices than their competitors in Turkey and China, where standards are higher. “This is common knowledge in the industry,” says Verma. 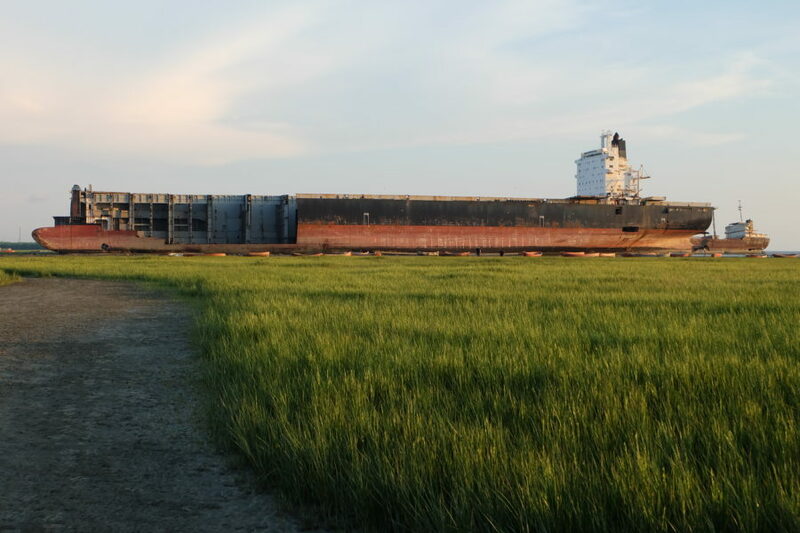 Verma insists that if a shipping company demands a price of $447 per tonne for scrapping a ship, then the company can have little doubt where it will end up. 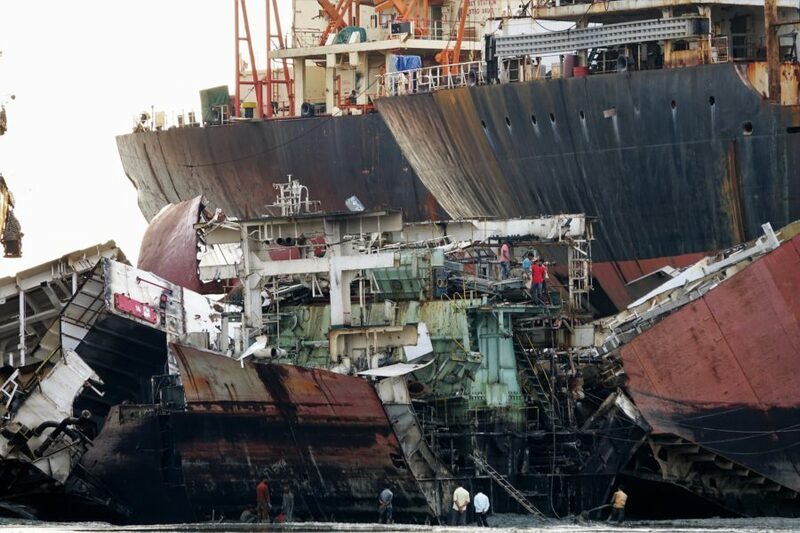 To put it bluntly, the higher the standards are with respect to safety and the protection of people and the environment at a shipbreaking yard, the lower the sum a ship owner can earn by scrapping a ship. After Danwatch confronted Maersk with the confidential contracts, the company acknowledged that it should not have pressured MPC Flottenfonds III to scrap the ships at a high price. “We admit that we should not have entered into an agreement that influenced the owner to seek the highest price for the steel,” writes Stube in a reply to Danwatch. The fourteen container ships in the contract were part of the so-called Starflotte fleet, which Maersk chartered from MPC Flottenfonds III from 2005 to 2013. For nearly nine years, the ships sailed as part of Maersk’s fleet, and several received Maersk names and were painted Maersk blue. In 2014, Maersk asked MPC Flottenfonds III to scrap the fourteen ships of the Starflotte fleet two years ahead of schedule. In May 2016, Danwatch obtained the confidential contracts governing the shipbreaking of the Starflotte fleet’s fourteen ships, which were passed to our journalists by sources that requested anonymity. To evaluate their authenticity and understand their contents, Danwatch presented the contracts to legal experts. One of these was Kristina Siig, an associate professor and JD in maritime law with the Department of Law at the University of Southern Denmark. “The documents show that Maersk wanted to withdraw from a charter agreement and return fourteen ships to their owner two years ahead of schedule. In the contract, Maersk obliges the ships’ owner to scrap the ships at the highest price,” explains Siig, who has followed the industry for twenty years and has experience writing shipping contracts. At the Faculty of Law at Copenhagen University, Danwatch shows the contracts to Anders Møllman, associate professor in maritime law and expert in maritime contracts. What jumps off the page for Møllmann is that Maersk requires MPC Flottenfonds III to “apply best endeavors to obtain the highest possible price,” as the contracts puts it. “With this contract, Maersk locks MPC Flottenfonds III into a position where they can choose no price but the highest, which is only obtainable at the shipyards with the lowest standards. If MPC Flottenfonds III chose to sell the ships for scrap at a lower price to better yards in China or Turkey, Maersk could sue MPC Flottenfonds III for breach of contract,” explains Møllmann. According to Møllmann, Maersk can’t get away with saying that it’s not their responsibility where the ships ended up, because the company demanded a very specific sale price. “Maersk is aware of the global market prices for scrap, and they know where you can obtain the prices you want. Maersk did not contractually specify that the ships be scrapped at specific shipbreaking yards, but based on the requirements of the contract, they exerted real leverage on the ships’ final destination,” says Møllmann. In its answer to Danwatch’s questions, Maersk avoids phrases like “mutual responsibility,” but it admits that the company should not have influenced the ships’ owner to seek the highest steel price. Bangladesh’s Chittagong Beach and India’s Alang Beach are the world’s two largest recipients of ships destined for the scrap heap. In Chittagong, the ‘beaching’-method is used, in which ships are sailed toward the beach at top speed when the tide is highest and stranded there. 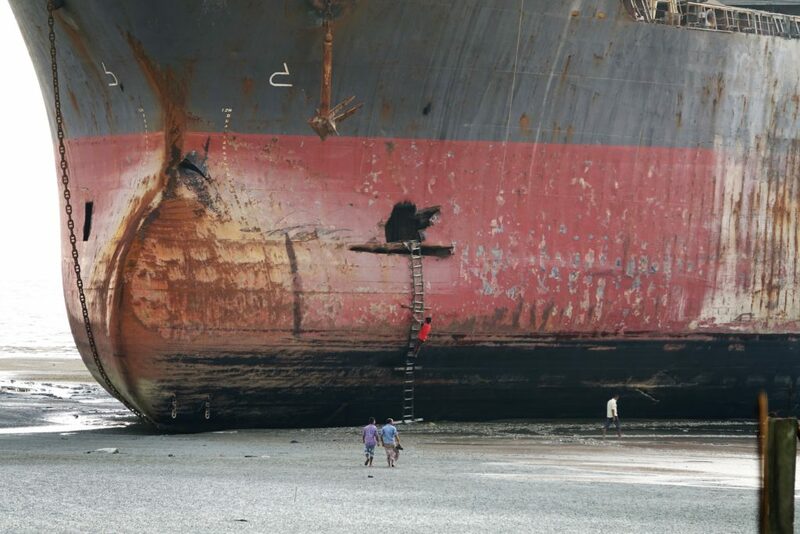 Once the tide recedes, the shipbreaking can begin. The tidal range at Chittagong is six metres, and the beach is very flat. This means that the ships are often beached at a significant distance from the shipyards. The sandy bottom is soft and muddy, and difficult to navigate for large machinery like cranes. When a ship is stranded, it is first emptied of liquids and gasses, along with any machinery or inventory that can be reused and sold. Then most of the ship’s hull is cut into pieces manually, with the help of cutting torches. Large sections are cut loose and fall onto the sand. From here they are either transported to the shipyard using a capstan or crane, or they are cut into smaller pieces and pulled ashore by hand. Once the smaller pieces are on land, they are cut into smaller pieces and sorted again so they can be sold for melting down or rolling into sheet metal. One of the problems with selling vessels to shipyards that offer the highest price is that they break ships at the water’s edge using the so-called beaching method. The problem with shipbreaking on the beach is that oil, toxic hull paint and other chemicals leach directly into the sand and are swept out into the marine ecosystem. Futhermore, the beaching method is more dangerous for workers. Cranes and other machines cannot be transported out to the ships when they lie on the open beach, and so workers must cut them up by hand. The manual labour is dangerous, because the workers risk falling from the gigantic ships, being crushed under falling ship parts, or being caught in an explosion on the ship. The International Labour Organisation, which is part of the United Nations, has called shipbreaking one of the most dangerous professions there is. In the past, Maersk has condemned beaching. In 2013, at nearly the same time as the agreement regarding the scrap of the fourteen ships was being negotiated, former sustainability director for Maersk Line, Jacob Sterling, criticised the practice in a blog post on the website gCaptain. Maersk tells Danwatch that despite the company’s active role in sending the fourteen container ships to be scrapped in Bangladesh, where they were broken up right on the beach, the contract was not a violation of Maersk’s responsible ship recycling policy. “It is extremely regrettable, but it is not a breach of our policy, which only covers the ships we own, not those we charter,” says sustainability director Stube. It is not the first time that Maersk has declined to take responsibility for ships they sell on or for ships in their fleet that the company does not own. Associate Professor Kristina Siig explains that Maersk has the law on its side: the company is not legally responsible for ships it does not own. But in the case of the fourteen Starflotte ships, Maersk makes clear contractual demands of the ships’ owner. 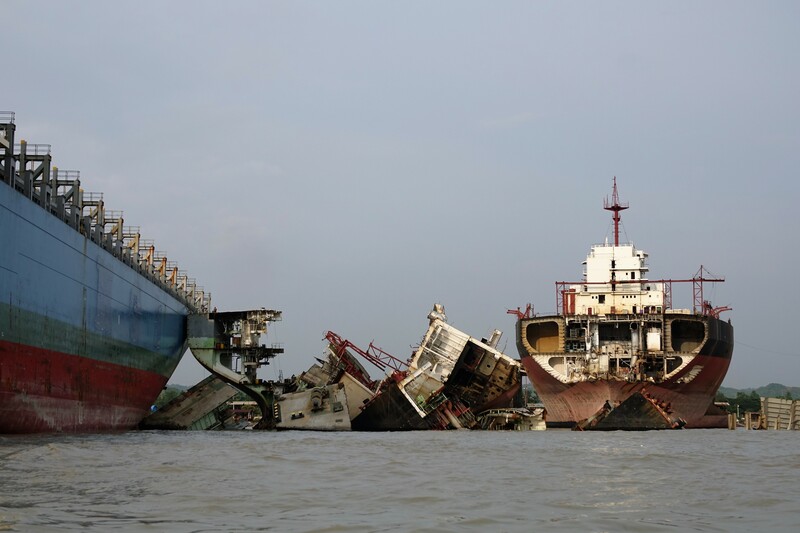 “It is plain to see that Maersk obliges MPC Flottenfonds III to sell the ships at the highest price, and that there is no clause about responsible shipbreaking. With its requirement that the ships be scrapped at the highest price, Maersk contributed to create a situation where the only realistic outcome was that the ships would end up in Bangladesh or India. Which is just what happened. In this instance, Maersk was a part of the problem, not the solution,” concludes Siig. Maersk tells Danwatch that it will make changes based on the fact that ships from the Maersk fleet have ended up at objectionable shipbreaking yards. The company has recently decided to adopt a new disposal policy that will expand Maersk’s responsibility for its ships. The contracts regarding the fourteen ships were signed in the winter of 2013-14. At that time, it was Maersk’s official policy that its ships could only be scrapped at yards in China and Turkey that upheld high standards with respect to responsible shipbreaking. Admiring NGOs declared the Danish shipping giant a leader in the field of sustainability, setting a good example for the whole industry. Maersk’s reputation as an exemplary sustainable business was confirmed as late as last month, when Crown Princess Mary of Denmark presented Maersk with the 2016 Corporate Social Responsibility Prize, awarded by FSR – Danish Auditors. 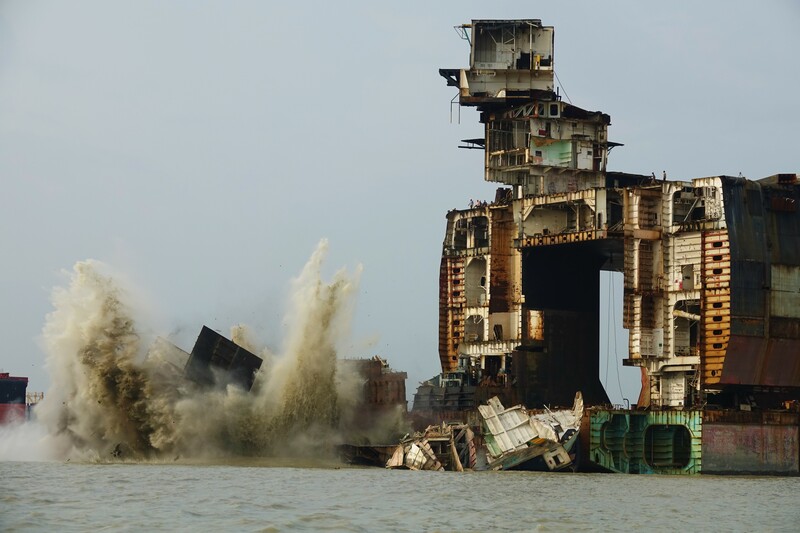 For years, the international advocacy organisation Shipbreaking Platform has opposed beaching in South Asia. Back in 2014, the organisation was excited by Maersk’s public condemnation of beaching, and featured the company on its list of responsible shipping companies. 1992-1995: The fourteen container ships that make up the Starflotte fleet are produced for Nedlloyd, which merges in 1997 with the Dutch company P&O to become P&O Nedlloyd. 2004: Ownership of the Starflotte fleet passes to the German fund MPC Flottenfonds III, owned by MPC Capital, which immediately charters the ships back to P&O Nedlloyd on a 12-year contract. 2005: P&O Nedlloyd is purchased by A. P. Møller-Maersk Group, and the Starflotte ships are incorporated into Maersk’s fleet, such that Maersk now charters the ships. Several of the ships are given the first name Maersk (Maersk Dalton, Maersk Delano, Maersk Miami, etc.) and are painted with the company colours and logo. 2005-2013: The fourteen ships sail for and as a part of Maersk’s fleet, including on the Asia-Europe route. In the course of 2012-2013, Maersk is removed from the ships’ names. 2013: Maersk and MPC Flottenfonds III contractually end the charter agreement 2 years and 3 months ahead of schedule. For each ship, a termination agreement is signed between the two parties in which MPC Flottenfonds III is bound to “do its utmost to obtain the highest possible price” for the scrap of each ship. Maersk requires the ships’ owner to turn over all offers from buyers and shipbreaking yards so it can verify that the ships are sold for the maximum price. 2013-2014: Three of the fourteen Starflotte ships are dismantled for scrap at the Chittagong shipyards in Bangladesh, and eleven at Alang in India. The ships were between 18-22 years old when they were broken up. After receiving the confidential contracts from sources that wish to remain anonymous, Danwatch tracked down the fourteen Starflotte ships. The research shows that MPC Flottenfonds III sold the ships for scrap in the spring of 2014. Maritime data from MarineTraffic, Lloyd’s List and Bangladesh’s harbour register show that three of the ships were taken to Chittagong in Bangladesh, which is known to have the industry’s lowest standards with respect to protection of both workers and the environment. The remaining eleven ships were brought to shipyards in India. All fourteen ships ended up at shipyards that failed to comply with the requirements and obligations Maersk had outlined for responsible ship scrapping at the time. 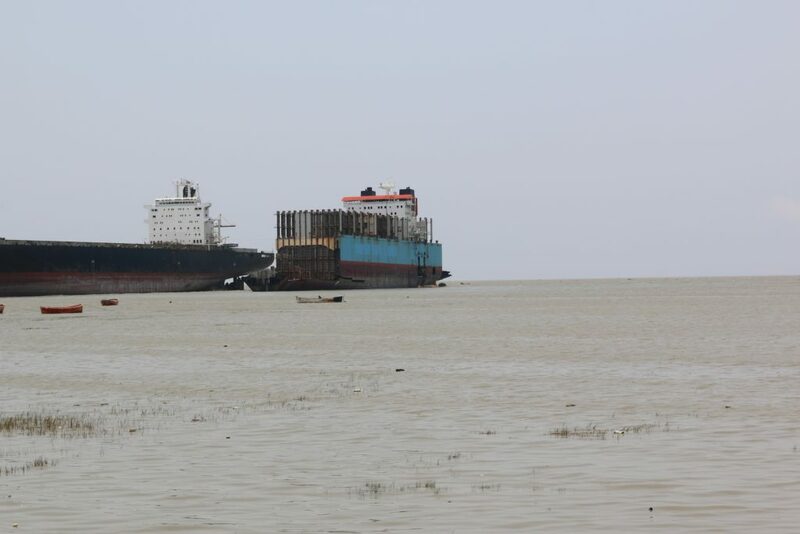 The sale of the ships was covered in German media in February 2015, and several advocacy groups criticised MPC Flottenfonds III and Maersk for sending ships to be scrapped on beaches in Bangladesh. Maersk did not step in to address the situation at that time, and took no responsibility for the fate of the ships. Not until now, when Danwatch has obtained access to the confidential documents that establish Maersk’s active role in the sale, has the company admitted that it “entered into an agreement that influenced the owner to seek the highest price for the steel” – in other words, to choose dangerous shipyards in South Asia. 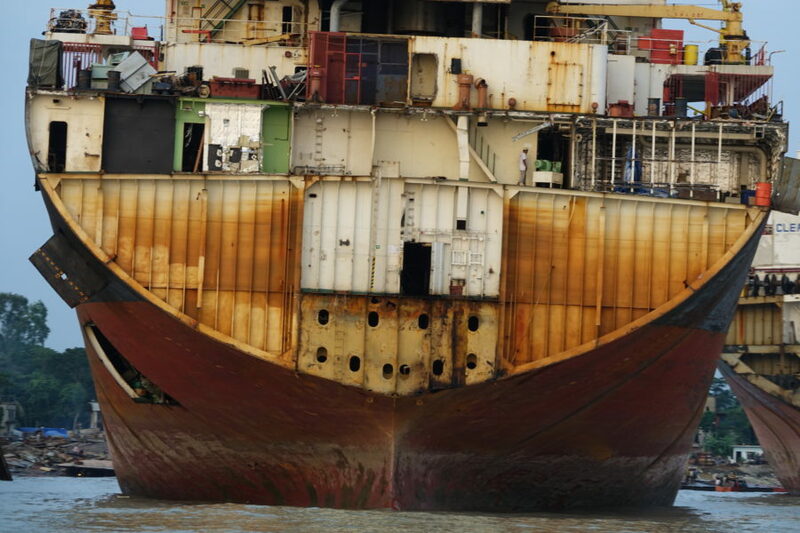 The International Labour Organisation of the United Nations has drafted guidelines for safety in shipbreaking in Asia and Turkey that are in several respects much more detailed than the Hong Kong Convention or Bangladeshi law. According to these guidelines, the employer should have overarching responsibility for occupational health and safety. The ILO’s guidelines describe how safety helmets ought to be worn by everyone present on the shipyard, and how safety glasses or the like should be used when there is a risk of eye or facial injury – especially in conjunction with welding and torch cutting. Furthermore, the guidelines say that respirators should be used when workers cannot be protected in any other way from airborne dust, smoke, vapours or gasses. Source: ILO’s “Safety and health in shipbreaking: Guidelines for Asian countries and Turkey”. Patrizia Heidegger of Shipbreaking Platform tells Danwatch that the organisation contacted Maersk when it was made aware that ships from Maersk’s fleet had been sent to beaches in Bangladesh and India. “Maersk told us that they had no that they had no insight into the sales process or of where the ships would be sent. The contracts that are coming to light now show that they lied to us. We believe it is thus crystal clear that Maersk is responsible for the fate of the fourteen ships and for three of the ships ending up in Bangladesh,” says Patrizia Heidegger. In the confidential contracts between Maersk and MPC Flottenfonds III, Maersk requires the shipowner to turn over all offers from buyers and shipbreaking yards so it can verify that the ships will be sold for the maximum price. Even today, Maersk still does not believe that the company is responsible for the fact that the fourteen container ships ended up at dangerous shipyards. “No. 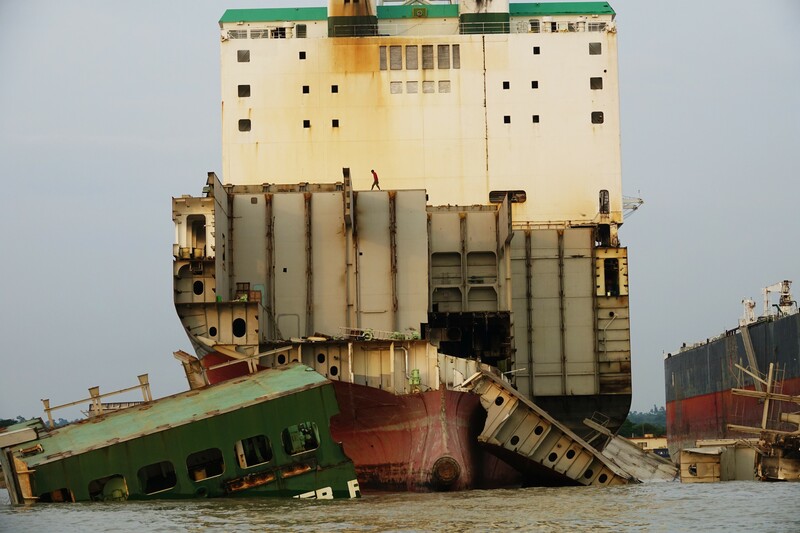 Ship recycling is the owner’s responsibility,” writes Maersk in its response to Danwatch. Danwatch showed Maersk the statement claiming that the company had given Shipbreaking Platform incorrect information regarding the contract. Maersk declined to comment. Photo: S. Rahman. August 2016. Bangladeshi law sets out a number of requirements regarding worker safety in The shipbreaking and Recycling Rules-2011, Chapter 4. These rules state that shipyards must provide workers with safety equipment like head protection, face and eye protection, hand and foot protection, respirators and hearing protection, along with safety harnesses and helmets when working at heights. In the case of torch cutting, a shipyard owner may only hire workers certified in torch cutting, and these workers must be outfitted with suitable masks so they do not inhale poisonous gasses. According to the law, it is the shipbreaking yard’s responsibility to equip its workers with safety equipment. Source: The Ship Breaking and Recycling Rules-2011 kapitel 4. In its corporate social responsibility policy, Maersk emphasises that the UN’s Guiding Principles on Business and Human Rights are an important and integrated part of its business transactions. These principles build on the core conventions of the International Labour Organisation and on human rights, and they define what governments and businesses ought to do to avoid negative consequences for human rights. According to the Guiding Principles, a company’s liability is not limited by formal legal ownership and includes negative effects on human rights and the environment that can be linked to its actions and supply chains. Poul Hauch Fenger is a human rights attorney with experience in Danish and international human rights cases with the United Nations and the European Union. In his view, Maersk’s responsibility is obvious. “There is no doubt that Maersk has a great deal of responsibility in this case, and that Maersk acted against the UN’s Guiding Principles on Business and Human Rights, which the company itself says its business is based upon. In this way, Maersk has acted in violation of its own policy,” Fenger declares. The case of the fourteen Starflotte container ships that were scrapped under dangerous conditions at shipbreaking yards in Bangladesh and India is not necessarily unique, it turns out. Maersk has stated that it cannot “rule out” that the company has influenced the pursuit of a high steel price in other contracts. If that is true, Maersk also cannot rule out that it has on other occasions influenced the shipbreaking of its vessels at dangerous shipyards. Maersk acknowledges its active role in sending fourteen ships to extremely hazardous shipyards in Bangladesh and India in 2014. At the shipyards in South Asia, workers pay the price so that shipping companies, middlemen and scrapyards can earn money from the steel of decommissioned ships. For the last two years, Maersk has insisted that the fate of the fourteen ships was not its responsibility. Confidential documents obtained by Danwatch, Politiken and TV2 now suggest the opposite was true. Maersk Group CFO Trond Westlie agreed to an interview to answer our questions. Here is an excerpt from that conversation. – What do you think of the fact that the contract the company signed led to fourteen ships that once sailed for Maersk being scrapped in Bangladesh and India? As a rule, Maersk has a ship recycling policy that means that we are responsible and that we will follow the Hong Kong Convention. This policy applies to ships we own. For ships that we charter, the policy does not apply, but we try to persuade other ship owners to join us in responsible ship recycling. With this agreement, we can clearly see that our influence went in the wrong direction, and that type of influence is unfortunate. It’s something we really shouldn’t do. – Maersk has communicated for years that it cares about the environment and safety – why would you enter into an agreement like this one? We must admit that in this case, our influence went in the wrong direction. – In your 2014 Sustainability Report, you say that you cannot force your standards on others. But isn’t that exactly what happened when you compelled MPC Flottenfonds III to sell its ships to disreputable shipyards by requiring such a high steel price? I don’t accept your reasoning. We assume that the ship owners follow their principles, and we follow ours. We may present commercial requests, but in the end, it’s up to the other owners to decide what principles to follow. In this case, we did have an unfortunate influence, and we apologise for that. – You say that it isn’t the company’s responsibility that these fourteen ships ended up at hazardous shipyards. Why apologise for something that is not your fault? We apologise because we admit that our moral duty extends beyond our own ships, and because we don’t like seeing ships on these beaches. – How many times has the company signed contracts like this one? I am not able to answer that at all. I haven’t looked into it. Cashel on the beach in Chittagong, where it was scrapped in 2014. Photo: Shipbreaking Platform. Since January 2016, Danwatch has been investigating how decommissioned ships are broken up for scrap around the world. It soon became clear that the majority of the world’s fleet is scrapped under objectionable conditions and with negative consequences for people and the environment. 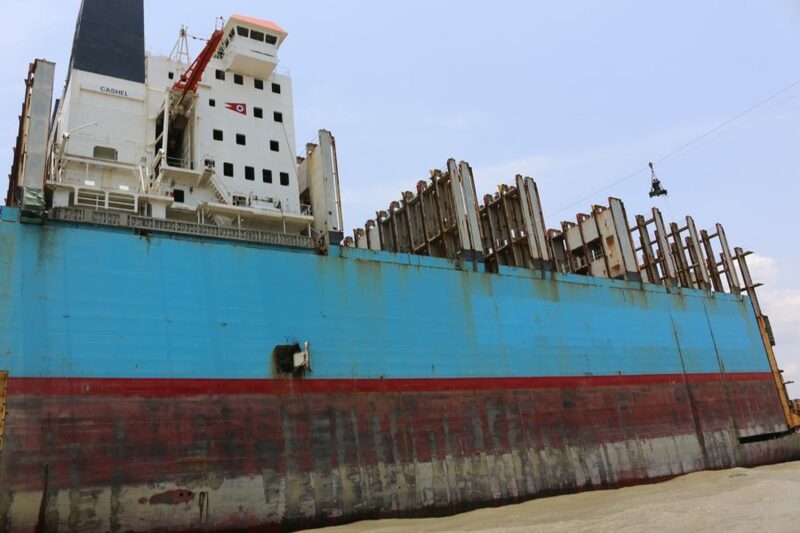 In recent years, Maersk has avoided the widely-criticised ship breaking yards in Pakistan, Bangladesh and India, but in May and June 2016, the company sent two ships to be scrapped in India. 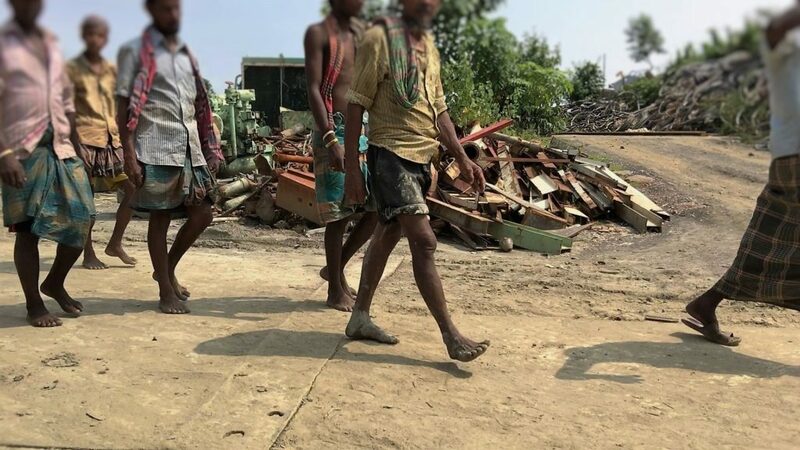 In October 2016, Danwatch published revelations that the conditions at Indian shipbreaking yards put workers’ lives in danger, polluted the environment uncontrollably, and failed to meet Maersk’s standards. Danwatch’s investigation also scrutinised Maersk to determine whether this was the first time that the company’s ships ended up on disreputable South Asian beaches. In May, Danwatch received a confidential 2013 contract addendum in which Maersk required its partners to send a container ship Maersk had chartered to scrap for the highest possible price, one that could only be obtained at the worst shipbreaking yards on beaches in India and Bangladesh. Danwatch tracked the ships and presented the addendum to legal experts that were able to confirm its authenticity and content. Danwatch was then able to obtain through its research the framework agreement of which the addendum was a part. The agreement covered the sale of fourteen ships, upon which this investigation is based. In August 2016, Danwatch travelled to Bangladesh and found the shipyards where some of the ships ended their days. Danwatch’s team spent three days on the beach interviewing shipyard workers and documenting the facilities, as well as another few days speaking with local authorities and interested groups. Ninety percent of our food, clothing and other products has been transported via ship on its way to our homes. Sixty percent of the ships that carry these goods end their days on beaches in Bangladesh, India and Pakistan. Here they are cut into pieces at great risk to both humans and to the environment, because the ships are often dismantled at the water’s edge, where asbestos, chemicals and fuel oil can flow freely into the surrounding ecosystems. The United Nations’ labour organisation, the ILO, calls shipbreaking one of the world’s most dangerous jobs, costing numerous lives and mutilating many others every year. In 2016, the world’s largest shipping company, the Danish concern A. P. Møller-Mærsk, made the notable decision to begin scrapping its ships on dangerous beaches in India. In light of this, Danwatch chose to dive deep into the ship breaking industry to take a closer look at where Maersk’s ships end their days.